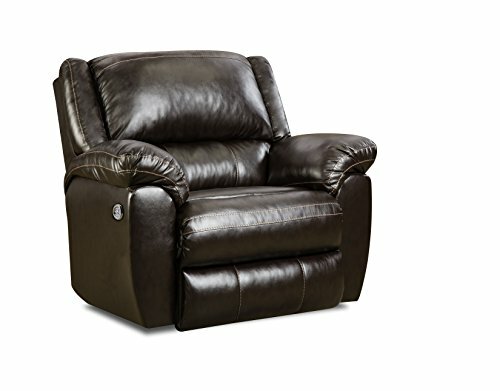 Simmons Upholstery power rocker recliner with beauty rest pocked coils in the seating for enhanced comfort. Pub back cushion, pillow top arms, and a fully padded chaise. Covered in a smooth, soft face faux leather with rich dark Brown tones. Power button features a 2.1 amp USB port to charge your mobile devices. If you have any questions about this product by Simmons Upholstery, contact us by completing and submitting the form below. If you are looking for a specif part number, please include it with your message.